The Super Chief was one of the named passenger trains and the flagship of the Atchison, Topeka and Santa Fe Railway. It claimed to be “The Train of the Stars” because of the celebrities it carried between Chicago, Illinois, and Los Angeles, California. 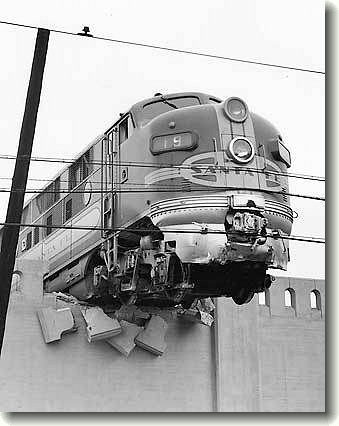 January 25, 1948: Locomotive #19L, leading the Super Chief, loses brakes at Los Angeles’ Union Passenger Terminal (LAUPT). 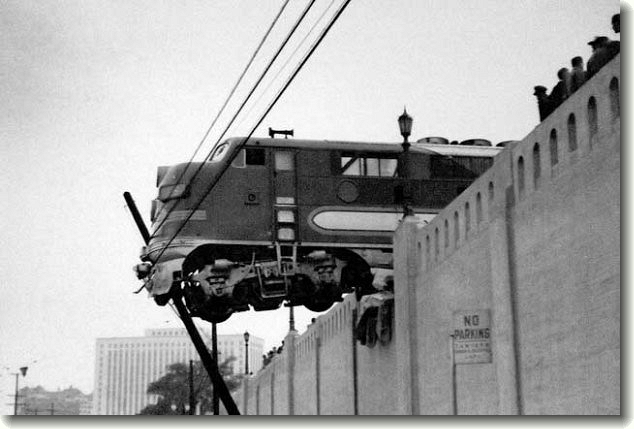 The train crashes through a steel bumper post and a concrete wall and stops with the front half of the locomotive 20 feet above Aliso Street. 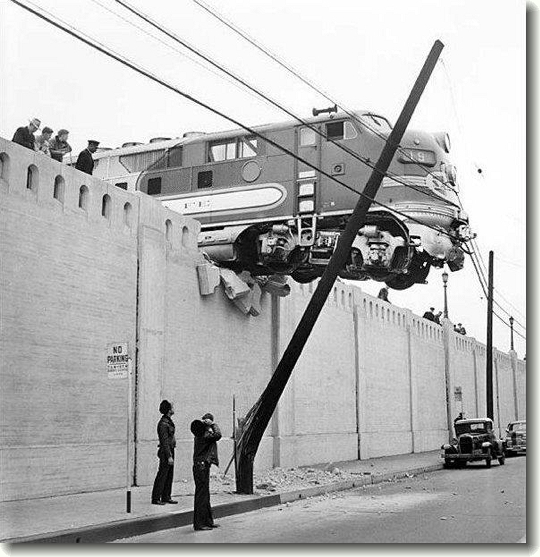 No injuries, but the engineer loses his job.